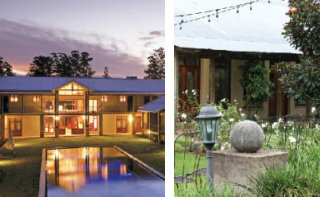 Casterbridge Lifestyle Centre is a unique lifestyle destination with tranquil gardens, quirky independent shops, fantastic entertainment spoils, a boutique hotel and fitness centre all just 40 minutes from the Kruger National Park. Range, quality and that element of surprise are all part of the shopping experience. Casterbridge proudly supports local industries and boasts award winning artists, potters and sculptors from the area. Come and feast your retail sense in over 35 stores, shopping against a background of perfectly manicured gardens where you will be guaranteed a shopping experience never to be forgotten. Experience the enchanting vintage Motor museum, or preview top draw national exhibitions at the White River Art Gallery. Book into the new 30 room hotel, stay fit at the gym and pilates studio, or pamper yourself at the health spa. Enjoy a culinary treat at any of our restaurants open from breakfast to dinner.